How do you follow up the anime sensation Your Name, one of the biggest grossing movies in Japanese box office history? 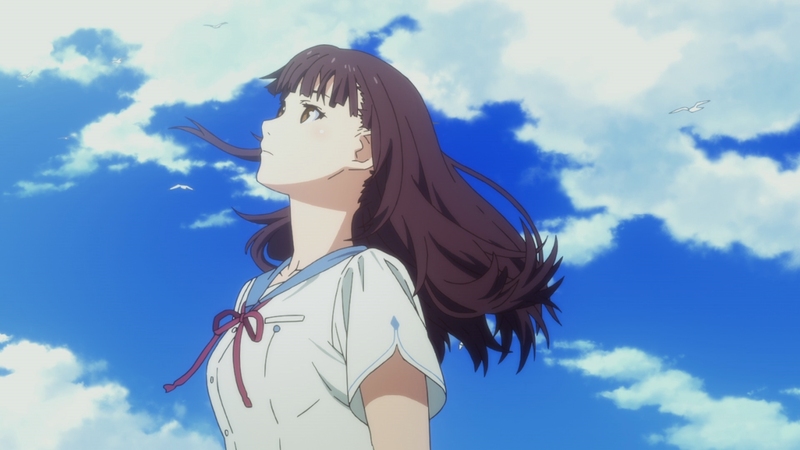 Producer Genki Kawamura brings us the enchanting Fireworks, a beautifully animated movie by Studio SHAFT (Puella Magi Madoka Magica and Bakemonogatari). Tackling similar themes with a nod towards time travel, it’s an absorbing tale of two kids overcoming the obstacles in their path. 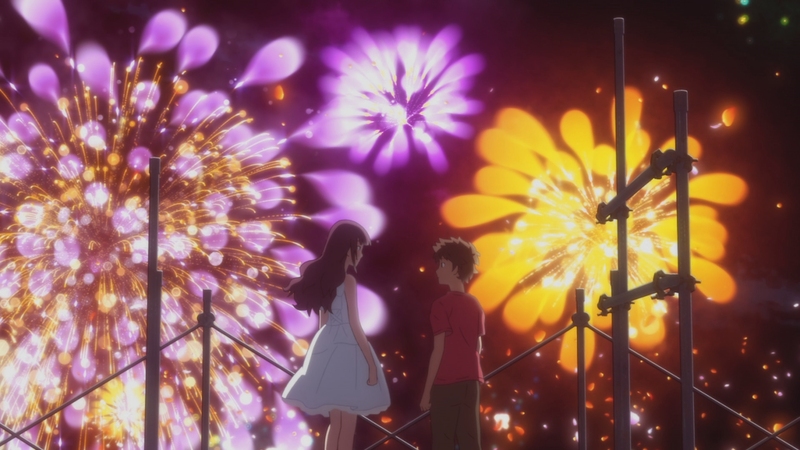 A tender tale of youthful teen romance and fantastical time travel, Fireworks is a lesser movie than the acclaimed Your Name. That isn’t to say Fireworks’ story of a shy boy chasing his dream girl across town, as time repeats itself, isn’t fun and magical. There is something sweet and innocent at its core thanks to its two primary characters, Nazuna and Norimichi. 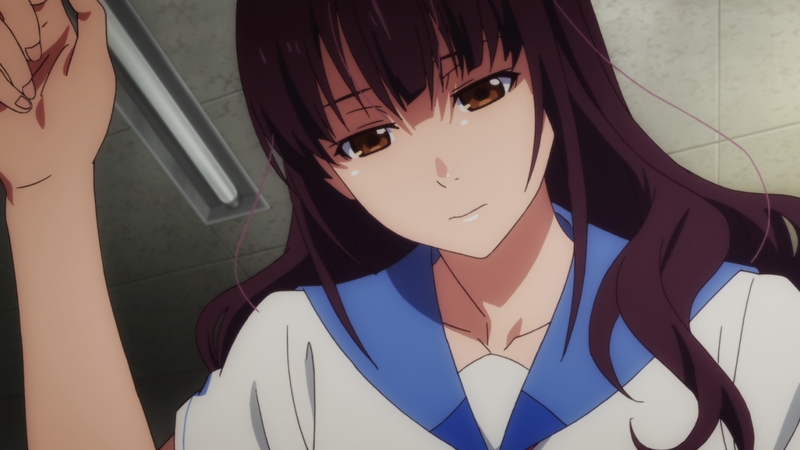 High school love is a common subject in anime and Fireworks approaches it from a slightly different angle than normal. The young high school pair make an odd romantic couple. Nazuna is the impossibly mysterious and beautiful girl, admired but separated from her classmates for familial reasons no fault of her own. Moving from school to school, she has no real friends and pressures at home. Norimichi is the shy boy that secretly pines for Nazuna along with his friend Yusuke. Their winsome relationship is no sure thing, even if it may be fated by the mysteries of time and space. Norimichi discovers a secret that enables him to go back in time and alter Nazuna’s fate each time it takes a bad turn. Expectations are a funny thing. Heavily marketed as a movie from the producer of Your Name, Fireworks falls apart under that weight. The similarities on the surface are immediate. It’s a star-crossed romance between teenagers, some time travel is involved, and its primary drama depends on the couple getting together. 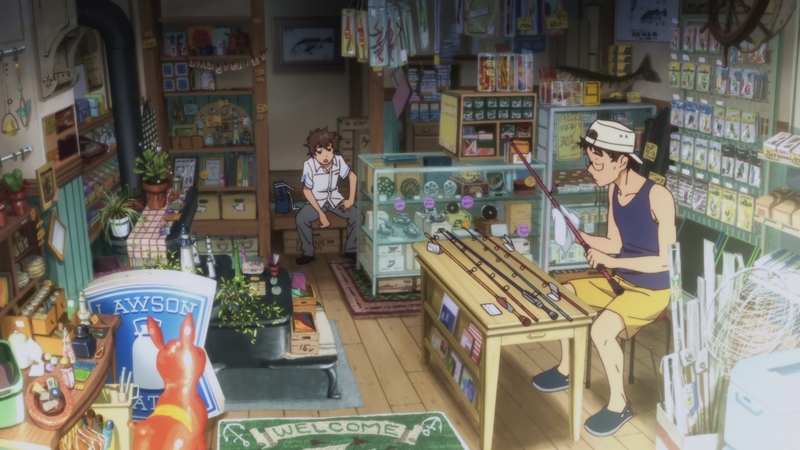 Throw in some light slice-of-life entertainment every anime fan will recognize, and Fireworks could be called a poor man’s Your Name. That isn’t a slam against Fireworks. Your Name established a successful formula that will likely get copied over the coming years in anime. 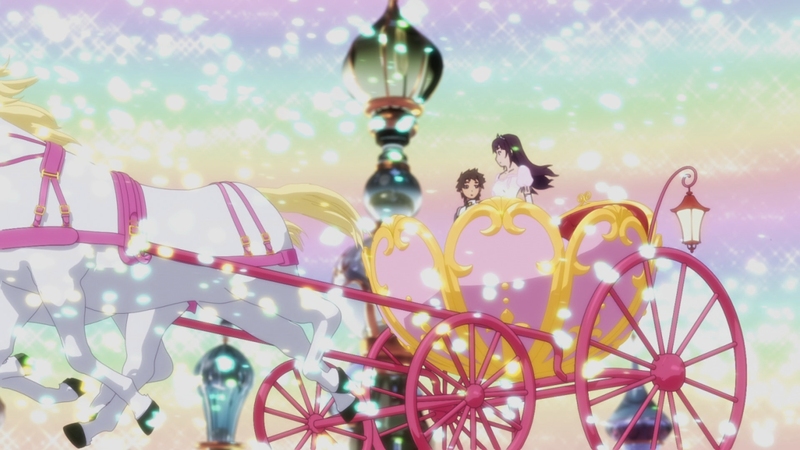 Fireworks does have some issues in its otherwise entertaining romance and fantasy. The vaguely unsatisfying ending feels rushed. Some recurring sub-plots go nowhere, almost as if they ran out of time to finish everything. While some form of time travel is used as a plot element whenever Norimichi needs a reset to save Nazuna, Fireworks plays fast and loose with its rules. I’d call it more a storytelling gimmick than anything else and the movie treats it like magic. 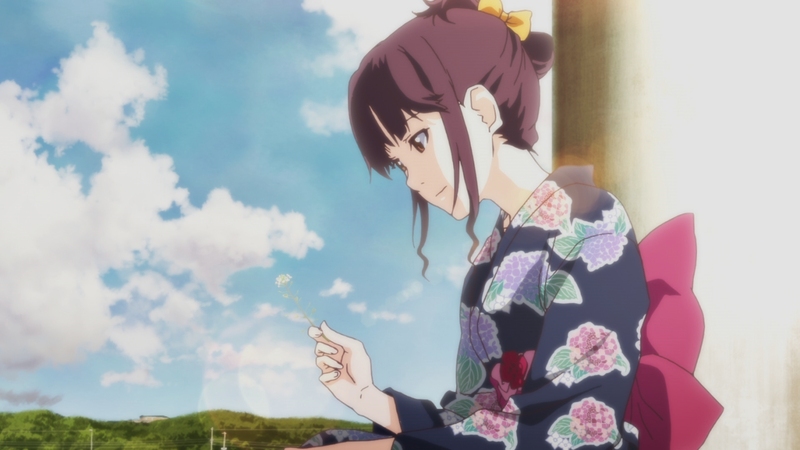 Fireworks is a beautiful animated film. Employing traditional animation and a touch of CGI, it also has two fine musical numbers. While it’s not going to make anyone forget Your Name, Fireworks’ sweet blend of teenage love and time travel is a pleasant diversion from the stresses of the world. 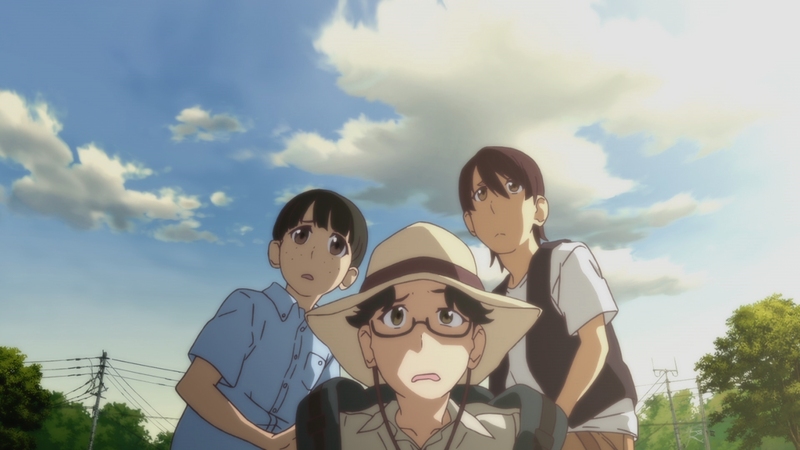 The ambitious anime movie isn’t a masterpiece, yet its intriguing premise and likable characters make for a worthwhile journey. While traditional, hand-drawn animation has died out in the West, it is burning brighter than ever in the East. 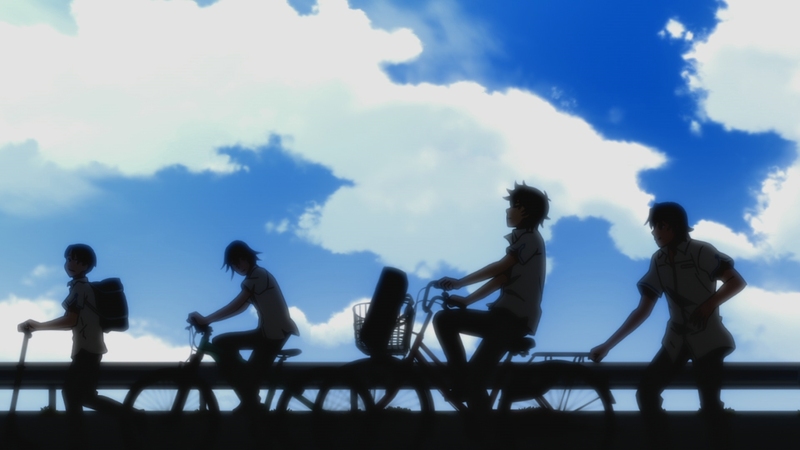 Animated by Studio SHAFT, well known in the anime world, Fireworks has stunning picture quality. The 1080P video is presented at the animation’s native 1.78:1 aspect ratio. Fluid characters move over detailed backgrounds. Set in a Japanese town celebrating a fireworks show, it delights in exploring the more fantastical moments initiated by the glassy bauble that propels Norimichi backwards through time. 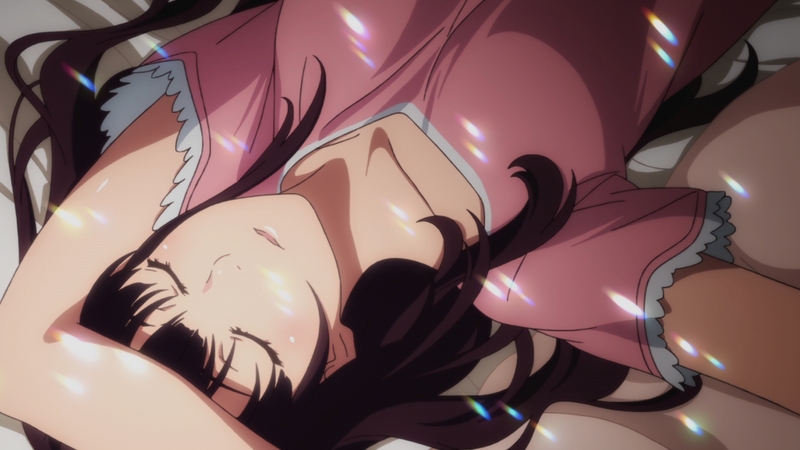 Some have complained the character designs look leftover from another SHAFT production, Bakemonogatari. That complaint isn’t entirely without merit albeit though most anime character designs have a sameness, one hallmark of the genre. A few CGI elements are used for extra flair. 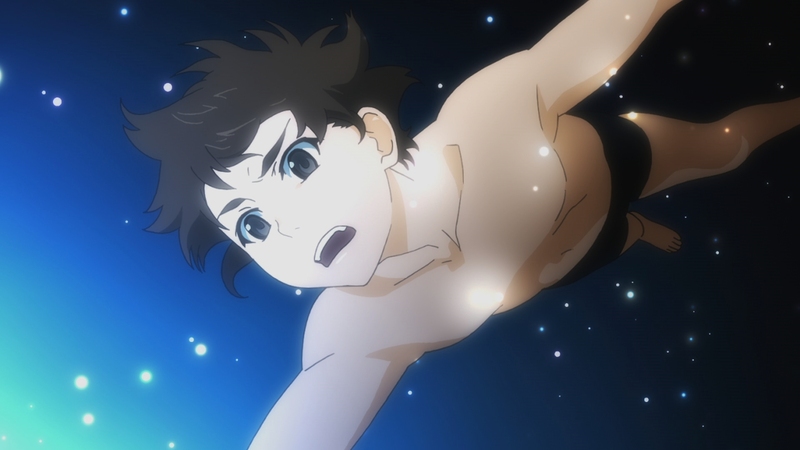 They do stick out from the hand-drawn animation’s smoother line-art. The transfer is perfect with deep black levels and an impeccable contrast. Fireworks embraces a richly colored palette with strong primary colors and impressive lighting effects. Fireworks has a strong soundtrack that sounds great in either English or Japanese. The original Japanese soundtrack comes in a finely mastered 5.1 DTS-HD MA effort with minor discrete activity and subtle immersion. The English dub comes in a mildly more immersive 5.1 DTS-HD MA surround mix with an encompassing soundstage. It offers separation and rock-solid dialogue in crystal-clear fidelity. 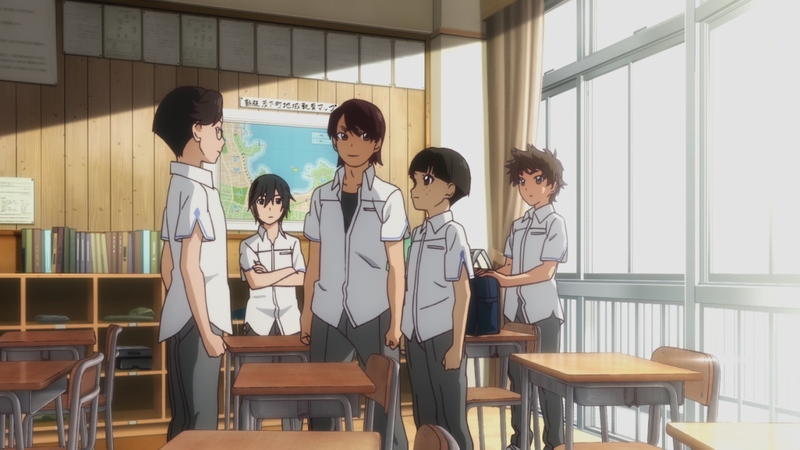 The interesting thing about Fireworks’ English dub is that two young teenagers were cast to play the teenage leads, which is uncommon in most Western animation and anime. Brooklyn Nelson and Ryan Shanahan give credible efforts as the young high school kids falling in love. Most anime fans will likely side with the original Japanese dub. Suzu Hirose voices Nazuna and Masaki Suda voices Norimichi. 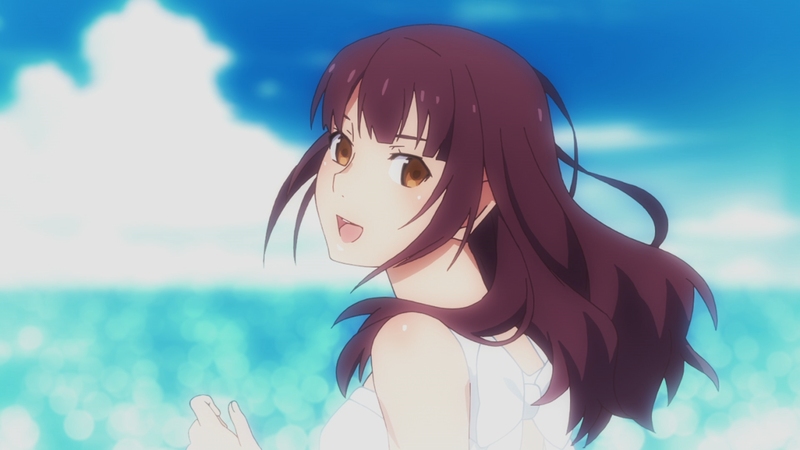 Optional English, English SDH and French subtitles play in a white font. The English SDH takes from the English dub’s transcript, while the English subtitles are a fairly tight translation of the actual Japanese soundtrack. The English dub actually sticks closely to the Japanese dialogue. It’s a solid translation of the movie and virtually nothing of significance is lost. I’d still recommend the Japanese soundtrack but you aren’t missing anything hearing the English dub. Fine anime label GKIDS and Shout Factory distribute Fireworks with a glossy slipcover that replicates the cover art featuring Nazuna. The Blu-ray and DVD combo set only sees a couple of short special features. An exclusive rolled lithograph of the movie’s key art was available as a bonus with pre-orders on Shout’s website. 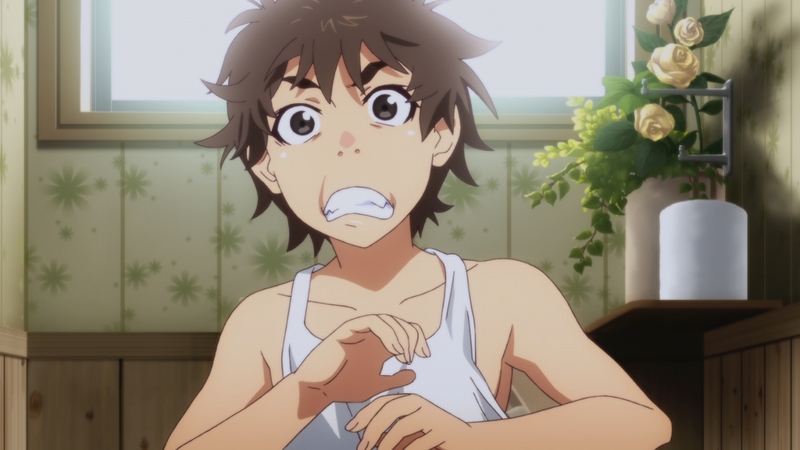 Behind The Scenes With The English Cast (10:40 in HD) – Most English dubs for anime imports don’t feature teen voice actors, even when the characters are teenagers themselves or even younger on screen. Both English voice leads in Fireworks are young teenagers, Ryan Shanahan and Brooklyn Nelson. They are interviewed separately about their experiences recording the dub in this concise and flowing featurette. Voice Director Michael Sinterniklaus discusses the process of dubbing animation that has already been animated. It’s a nice glimpse behind the scenes of making the English dub. 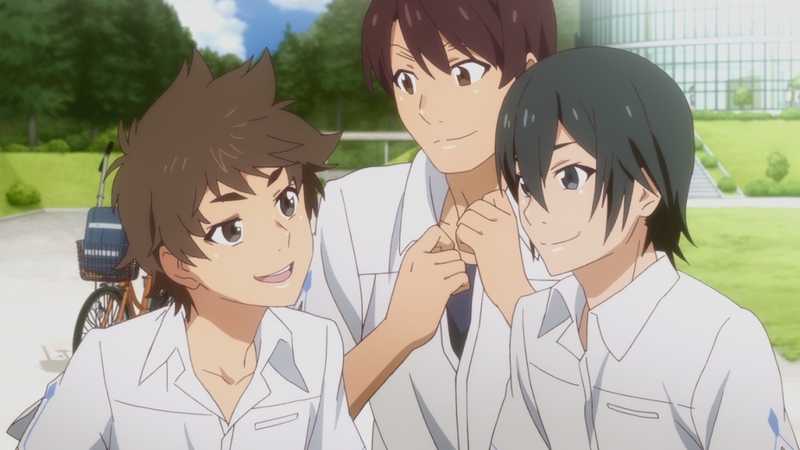 Fireworks is a sweet anime movie about high school love that overcomes its half-baked feel with beautiful animation and likable characters. The unaltered images below have been taken directly from the actual Blu-ray. For an additional 21 screenshots taken from Fireworks, early access to all screens (plus the 18,000+ already in our library) in full resolution, dozens of exclusive 4K UHD reviews and other perks, support us on Patreon.